Personalized Sticky Notes Organizer is made of 100% UltraHyde material. 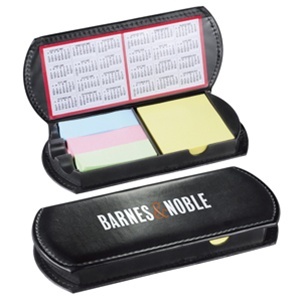 Logo Imprinted Sticky Notes Organizer is designed with removable dual-side 4-year calendar. Personalized Sticky Notes Organizer is available in Black color.